The 1970s was an enormously creative period for experimental film. Its innovations and debates have had far-reaching and long-lasting influence, with a resurgence of interest in the decade revealed by new gallery events, film screenings and social networks that recognise its achievements. Professor Laura Mulvey, and writer/director Sue Clayton, bring together journalists and scholars at the cutting edge of research into 1970s radical cinema for this collection. Chapters are at once historically grounded yet fused with the current analysis of today’s generation of cine-philes, to rediscover a unique moment for extraordinary film production. Other Cinemas establishes the factors that helped to shape alternative film: world cinema and internationalism, the politics of cultural policy and arts funding, new accessible technologies, avant-garde theories, and the development of a dynamic and interactive relationship between film and its audiences. Exploring and celebrating the work of The Other Cinema, the London Film-makers’ Co-op and other cornerstones of today’s film culture, as well as the impact of creatives such as William Raban and Stephen Dwoskin – and Mulvey and Clayton themselves – this important book takes account of a wave of socially aware film practice without which today’s activist, queer, minority and feminist voices would have struggled to gather such volume. Sue Clayton is a screenwriter and film director, and the Director of the Screen School at Goldsmiths, University of London. Her films include The Song of the Shirt (1979), The Disappearance of Finbar (1996) and The Last Crop (1990). She has made 14 award-winning documentaries for Channel 4, BBC, and Central, and a number of music videos. Laura Mulvey is Professor of Film and Media Studies at Birkbeck College, University of London. She is the acclaimed author of: Visual and Other Pleasures (1989; second edition 2009), Fetishism and Curiosity (1996; second edition 2013), Citizen Kane (1992; second edition 2012) and Death Twenty-four Times a Second: Stillness and the Moving Image (2006). She made six films in collaboration with Peter Wollen including Riddles of the Sphinx (1977) and Frida Kahlo & Tina Modotti (1984) as well as Disgraced Monuments (1996) with artist/filmmaker Mark Lewis. 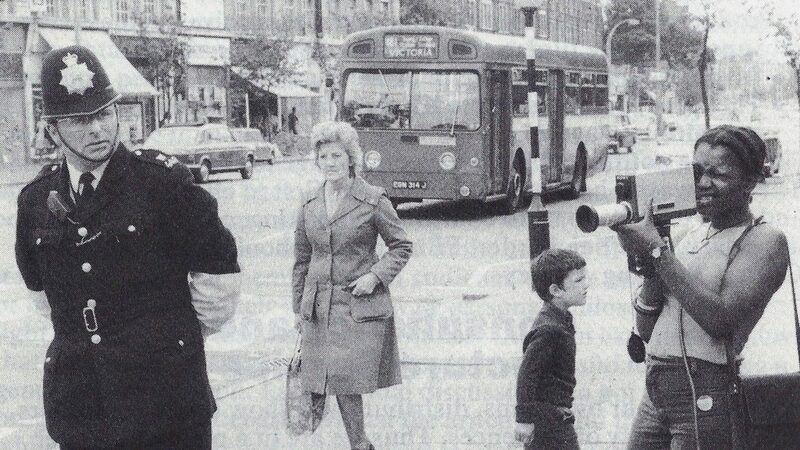 Exploring the dynamic artists’ and experiential moving image work of 1970s Britain, Towards Other Cinemas is a series of screenings and discussions, exploring the renewed interest in diverse strands of experimental film and video works made in this period. Curated by Laura Mulvey, Sue Clayton, and Claire M. Holdsworth and featuring Steve Presence, Lucy Reynolds, and Kodwo Eshun, we bring together works made in 1970s Britain and explore how younger generations are re-activating this recent past. 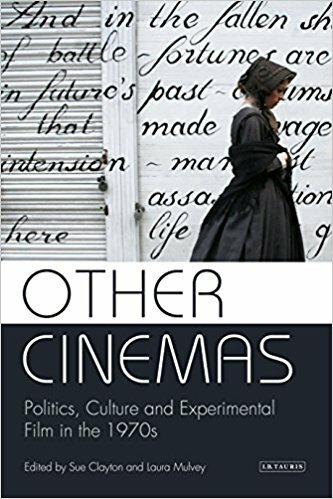 The series coincides with the publication of Other Cinemas: Politics, Culture and Experimental Film in the 1970s (IB Tauris, 2017), edited by theorist Laura Mulvey and writer and director Sue Clayton. In partnership with LUX, London. Screening followed by a discussion of the Other Cinemas project. Sue Clayton is a UK feature and documentary film writer and director. Her films include The Song of the Shirt (1979), The Last Crop (1990), The Disappearance of Finbar (1996), Hamedullah: The Road Home (2012) and Calais Children: A Case to Answer (2017). She has made award-winning documentaries for Channel 4 and ITV including How to Survive Lifestyle, Japan Dreaming, and Turning Japanese. She is a Professor and founding Director of Screen School at Goldsmiths (University of London), and co-author with Laura Mulvey of Other Cinemas: Politics, Culture and Experimental Film the 1970s (IB Tauris, 2017). Dr Steve Presence is a Research Fellow in Film and Television Studies at the University of the West of England (UWE), Bristol. He is a founder member of the Bristol Radical Film Festival, and founding member and convenor of the Radical Film Network (RFN) – an international network of organisations involved in politically-engaged and aesthetically innovative film culture, which has claimed the IFVA Independent Film and Video Makers’ Association, formed in the 1970s) as one of its formative influences. Steve is also Principal Investigator on the AHRC-funded research project, ‘Sustaining Alternative Film Cultures’. Dr Claire M. Holdsworth is an archivist and writer. A Research Fellow at Kingston School of Art (Kingston University London) specialising in British artists’ moving image (1970s/1980s), her research explores sound, the voice, authorship and oral histories in relation to archives and historiography. Holdsworth assisted with research and editing of the anthology Other Cinemas: Politics, Culture and Experimental Film in the 1970s (eds. Sue Clayton and Laura Mulvey, IB Tauris, 2017), to which she also contributed as an author. Dr Lucy Reynolds is Senior Lecturer and researcher at Westminster University. She has published extensively and curated exhibitions and programmes for a range of institutions, most particularly focused on questions of the moving image, feminism, political space and collective practice, and is currently editing an anthology on Women Artists, Feminism and the Moving Image (IB Tauris, 2018). As an artist Reynolds’ films and installations, which include the ongoing sound work A Feminist Chorus, have been presented in galleries and cinemas nationally and internationally. Laura Mulvey is Professor of Film and Media Studies at Birkbeck, University of London. She is the author of Visual and Other Pleasures (1989, new edition 2009) Fetishism and Curiosity (1996, second edition 2013) and Death Twenty-four Times a Second: Stillness and the Moving Image (2006). She made six films in collaboration with Peter Wollen, including Riddles of the Sphinx (1977) and Frida Kahlo and Tina Modotti (1984), as well as Disgraced Monuments (1996) with artist/filmmaker Mark Lewis. Kodwo Eshun is Lecturer in Contemporary Art Theory at Goldsmiths University London, Visiting Professor, Haut Ecole d’Art et Design, Genève and co-founder of the Otolith Group. He is the author of More Brilliant than the Sun: Adventures in Sonic Fiction (1998) and co-editor of Post Punk Then and Now (2016), Harun Farocki Against What? Against Whom? (2010) and The Ghosts of Songs: The Film Art of the Black Audio Film Collective 1982–1998 (2007). The Centre for Film & Ethics at Queen Mary University of London, in collaboration with Close-Up Cinema, is pleased to host a masterclass on political cinema by acclaimed American documentary filmmaker John Gianvito. 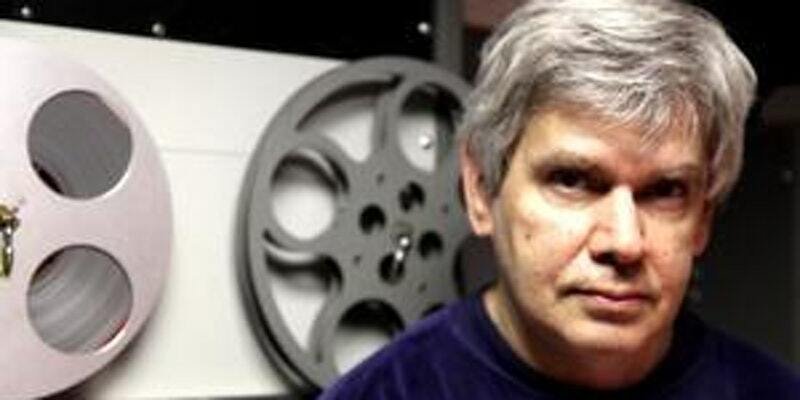 John Gianvito is a filmmaker, teacher, curator, and critic. His films include the feature films The Flower of Pain (1983) and The Mad Songs of Fernanda Hussein (2001). In 2010, Gianvito’s meditative film essay Profit Motive and the Whispering Wind(2007) was named one of the 50 greatest documentaries of all time by Time Out (New York). 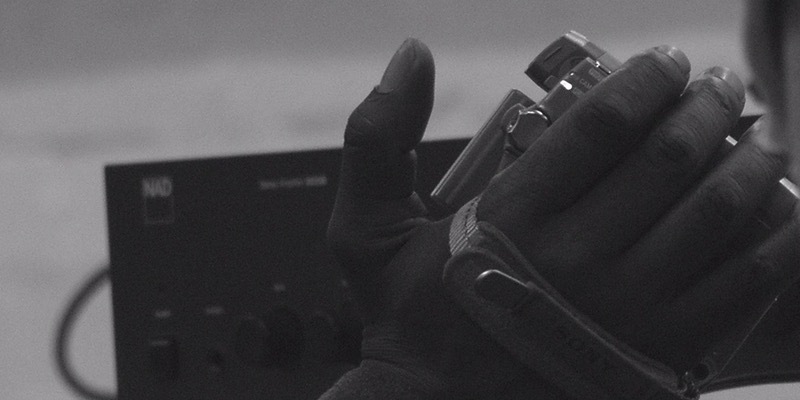 This masterclass, which focuses on political filmmaking, follows the first complete London/UK screening of For Example, the Philippines, a nine hour diptych consisting of Vapor Trail (Clark)(2010), and Subic (Wake) (2015), that patiently unearths the violent legacies of American colonialism and militarism in the island nation. John Akomfrah on his practice with archive film at Artes Mundi 7 Conference at National Museum Cardiff, January 2017. 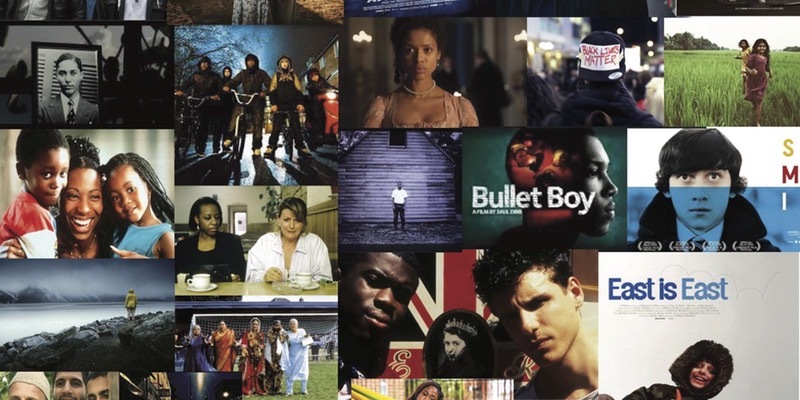 The Politics of Race in Contemporary Film and Digital Practice. Black Film British Cinema Conference 2017, MAY 18. This conference has been organised by University of Greenwich, Goldsmiths, the Institute of Contemporary Arts and co-supported by the Sociological Review Foundation. WHAT IS INCLUDED IN THE FULL CONFERENCE/DAY ONE TICKET PRICE? Ticket price includes entrance to the conference on Thursday and Friday. Lunch will be provided on Thursday and there will be a drinks reception following the first day of the conference on Thursday evening at the Professor Stuart Hall Building at Goldsmiths University of London. Tea, coffee and cold drinks will also be provided at regular intervals during the conference. AM I ELIGIBLE FOR THE CONCESSION RATE? Concessional rates are valid for full-time students (including postgraduate/PhD students), seniors (60+), registered disabled persons and benefit recipients (JSA). Film as a radical pedagogic tool refers to film in its most complete sense as praxis, where the categories of theory and practice are integrated, where film becomes both concept and method. Pedagogy is concerned with education, not only in the conventional model of knowledge transmission and acquisition but as a reaction to our environment and our personal experiences and how we react to that environment and what sense we make of those experiences. Film as praxis attempts to contest the structural weight of the power concentrated in elites and to create opportunities for the working class-specifically by fostering a critical engagement with the structural and ideological underpinnings of the media in our neo liberal corporatist world, Therefore film as a radical tool, refers to the meshing of film and pedagogy as a force for social and political change. This workshop will explore the importance both in theory and in practice of working class people telling their own stories and representing their own experinces. Most representations of working class people are made by the middle class graduates of Russell Group universities who have no expereince of working class life and who are not anchored in the strugges of working class people -we will draw on the work of inside film -there will be clips from some of the films made by the peope we have worked with- a presentation explaining the underlying philosophy of a radical pedagy of film and a discussion of how we might implement these ideas more widely.